The ou mba 1st sem exams postponed due to MLC elections in AP ou Registrar announced all ou mba exams are postponed and as well as all ou exams are postponed due to MLC elections in AP and due to bhand of singareni in ap, the Medak district ou all exams also postponed due to MLC elections. Actually date of ou mba 1st sem exams are 21-02-2013 to 06-03-2013. But due to MLC elections in ap the 21st mabs 1st sem exam postponed. 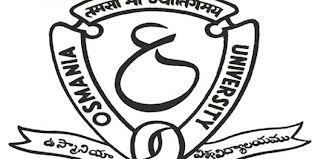 The exact osmania university mba exams 2013 feb timetable announced shortly, ou mba 1st sem exams dates will be announced soon.